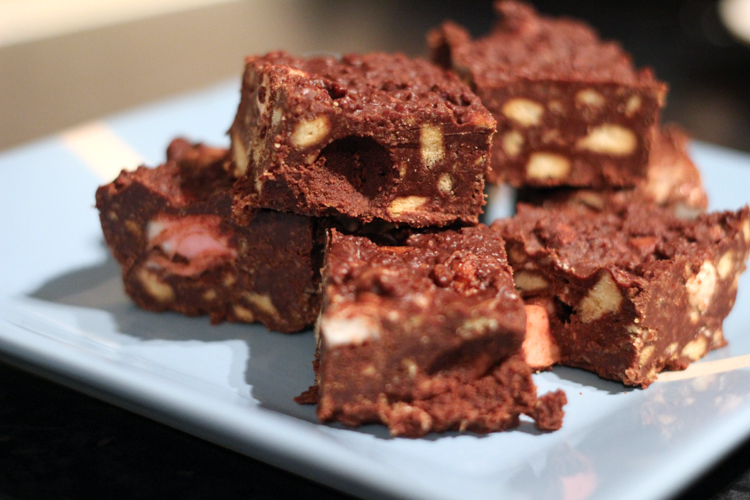 Rocky Road | Abandon Spoon! 1. 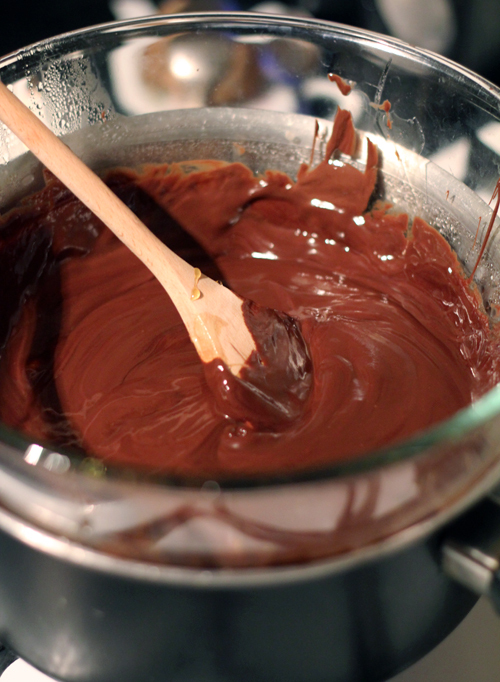 Melt the butter, chocolate and golden syrup in a pan. I like to do this in a water bath as my saucepan’s don’t have a heavy enough base. 2. 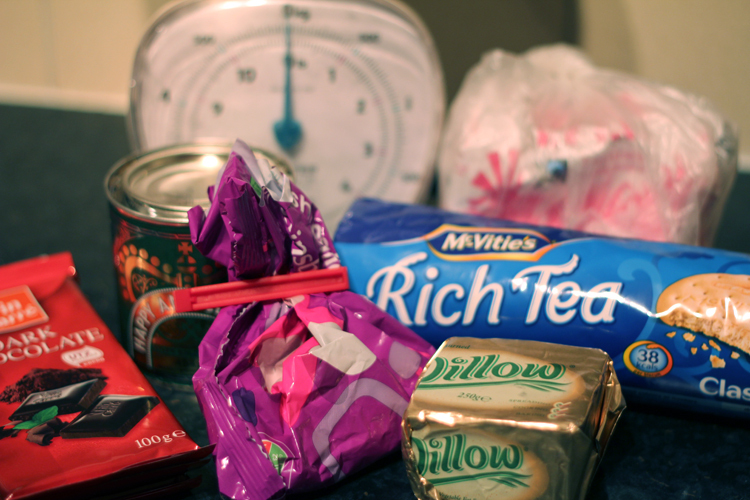 Put the biscuits into a freezer bag and then bash them with a rolling-pin. Great for if you have had a stressful day. You are aiming for both crumbs and pieces of biscuit. 3. 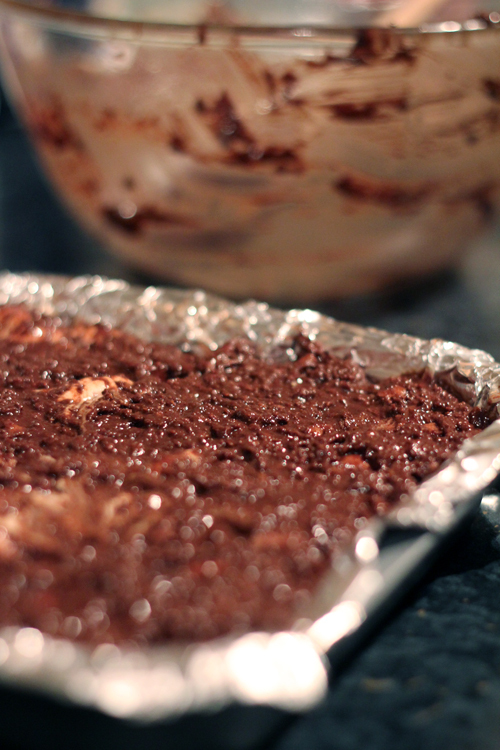 Fold the biscuit pieces and crumbs into the melted chocolate mixture, then add the marshmallows. 4. Tip into a foil tray (24cm/ 9 inch square) and flatten as best you can. 5. 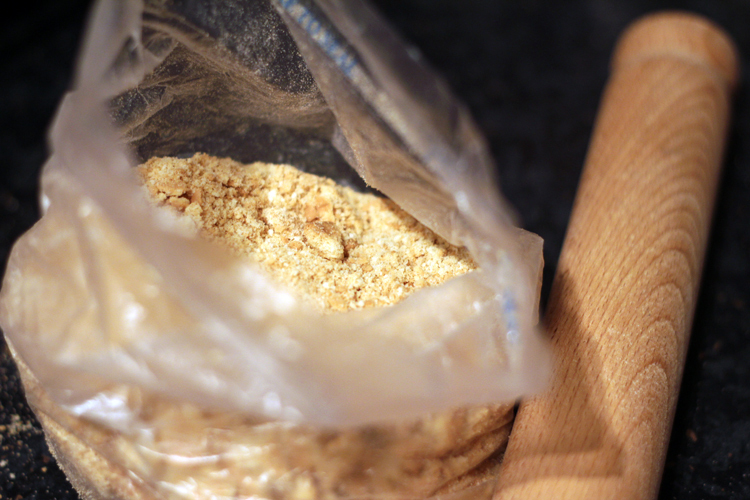 Refrigerate for about 2 hours or overnight. 6. Cut into 24 fingers and dust with icing sugar. 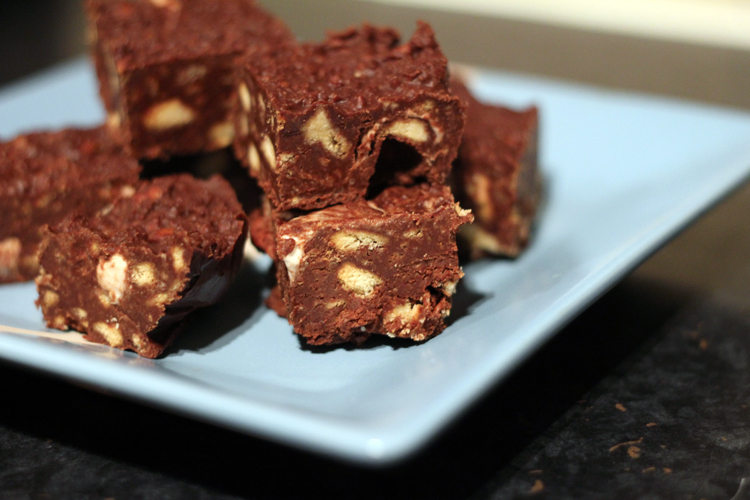 You can add dried fruit and nuts to this recipe to add extra texture and flavour, or keep to the original version. Nigella’s recipe says to put aside some of the chocolate before adding the biscuits, and then pouring this over later. 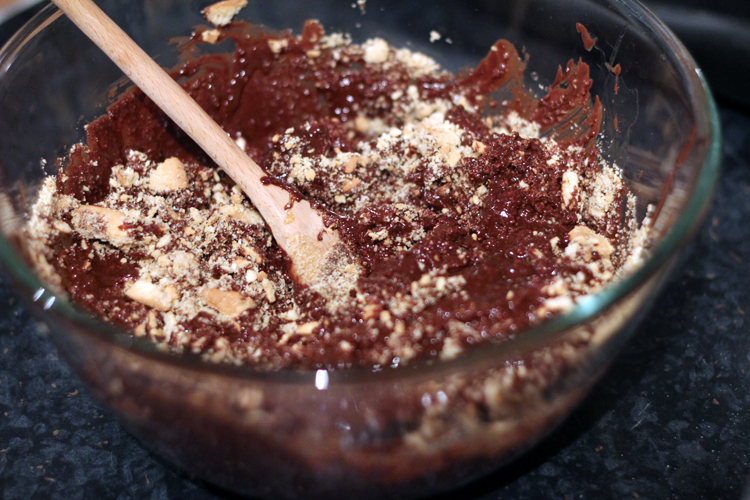 For ease I add all of the chocolate at once- saves washing up an extra bowl.